There has been a maelstrom of gloomy articles referencing the proposed changes to federal retirement benefits published lately and, while it is critical that you stay informed, it is also important to remember how many benefits you will continue to have in even the most aggressive of the budget reduction proposals. We cannot control what happens with the budget, but we can control how we interpret and respond to the hurdles it creates… Remember, as a federal employee, you are still offered some of the best benefits on the planet – even after 2018! The interpretation that many feds have expressed is that they feel unjustly punished by the new administration’s budget proposal, personally targeted by a billionaire who is out of touch with the needs of Main Street Americans. As the world’s leading super power – we are broke. Belt tightening will have to happen at every level of government to stabilize our ballooning national debt. In 2004 the national debt was $7.4 trillion – and it took 200 years plus two world wars for us to accumulate. Today the public debt is $19.9 – almost triple what it was just 13 years ago thanks to Wall Street bailouts! Interest rates are also now beginning to rise for the first time in over a decade, which means that the cost of our national debt is dramatically increasing as well. In 2007 the Department of Treasury (aka Department of Debt) was paying 4.8% on the national debt, if Uncle Sam were to pay 5% interest on the $20 trillion of debt we have today then the interest alone will cost $1 TRILLION each and every year… just for the privilege of owing the original $20 TRILLION! An interest-only payment that big equates to nearly 1/3rd of all tax revenue collected in 2015. Widespread budget cuts are being discussed because Uncle Sam cannot afford to kick the proverbial can any further down the road without directly and dramatically punishing our children, grandchildren, and great-grandchildren for irresponsible fiscal policies from long before they were born! Politicians aren’t cutting benefits because it will help them get re-elected, it is a pragmatic admission that Uncle Sam can’t afford the promises that these career politicians made as candidates eager to win votes! So let’s grab some perspective by reiterating how many benefits and advantages federal employees/retirees will still have because there are millions of Americans that would drop to their knees weeping with relief if only they could have some of these proposed ‘watered-down’ retirement benefits. In addition to much better job security during one’s career, the average Federal Employee salary is $86,365. With the inclusion of benefits, such as the FEHB and pensions, the total compensation cost to Uncle Sam is $123,160 per year. A comparable job in the private sector has an average total compensation cost of only $69,901 – 76% less than the public sector. As the population trends towards enjoying longer lifespans, Social Security has increased the minimum age at which you receive your “full” benefit. Unlike Social Security, the age qualifications for FERS/CSRS retirement eligibility have not changed – you can still meet all of the requirements and begin receiving an immediate unreduced pension at 55-57 years old (with sufficient years of service). The average retirement age for private sector Americans is 63 years old – they are forced to work longer and longer in order to survive in retirement without a pension! Your government pension has no wage earnings test or wage earnings limit. The Wage Earnings test is assessed on Social Security benefits and penalizes “wealthy” retirees. SS defines “wealthy” as an individual earning more than $16,920 ($1,410/mo). As punishment for being so filthy rich SS will actually reduce your monthly benefit! But since there is no wage or earnings limit on your pension, it means that you are free to earn as much money as you desire after leaving the government and you will still receive your full pension payment every month forever! The number one fear of retirees is still outliving their nest egg savings, according to a recent bankrate.com survey. The fact that you have a pension payment that will come each month for as long as you live, and is not dependent on market returns or the interest rate environment, is more than 90% of Americans can hope for –that is how rare defined benefit plans (pensions) have become. There is no max lifetime payout or benefit termination age on your pension payments, so you don’t have to fear longevity the same way those in the private sector do! What a relief! The number two fear, according to that same survey, is the rising cost of medical care. Uncle Sam addresses this concern for federal retirees as well! Your ability to continue coverage under the FEHB in retirement, and have the government foot nearly 72% of that expense that so many fear, is another incredible benefit to be grateful for! Behind your pension, the ability to continue the FEHB is the second biggest benefit you earn through your years of dedicated service. If you carry this benefit for the 5 years immediately preceding your retirement, then you will receive this powerful perk for as long as you live (and beyond in certain cases…)! Not only do the FERS/CSRS systems subsidize the majority of your FEHB premiums during your life, but if you coordinate your benefits properly, then both systems also allow your surviving spouse to continue his/her enrollment in the FEHB (and qualifying dependents under the age of 26). That is a major “peace of mind” benefit, the ability to be 100% confident that your loved ones will still have subsidized health coverage even if you were to pass away. In addition to receiving a pension designed to replace roughly 1/3rd of your working salary, you essentially get dollar for dollar matching on your TSP contributions up to 5%! There are millions of people in the workforce that have no access to a 401k(TSP), especially not one that comes with any employer match, let alone the combination of an employer matched 401k and a lifetime pension! While the TSP may not be the fanciest, the most innovative, or the most expansive of defined contribution plans – it is one of the least expensive. That is another huge win during your career when you are saving money towards your future. Comparatively, many private sector Americans are entirely dependent on their 401k for retirement income and collectively have had their funds pillaged by Wall Street’s layers upon layers of fees – most of which were completely hidden for decades! What would you call it if someone took your money without your knowledge or permission? On Main Street that’s stealing, but on Wall Street that is simply an “undisclosed fee”. 401k’s originated in the late 80’s but had no legal requirement to disclose the underlying fees… UNTIL 2012! So while the TSP may be ‘Too Cheap’ to provide all of the features and flexibility necessary to meet our changing needs in retirement, it is unquestionably a great growth accumulation vehicle during your career – especially when compared to the private sector 401k plans that made Wall Street rich at the expense of the ‘Average Investor’. Does it feel fair for Uncle Sam to change the rules so late in the game? NO. We cannot help the fact that, for decades, politicians have promised checks that Uncle Sam cannot afford to write. 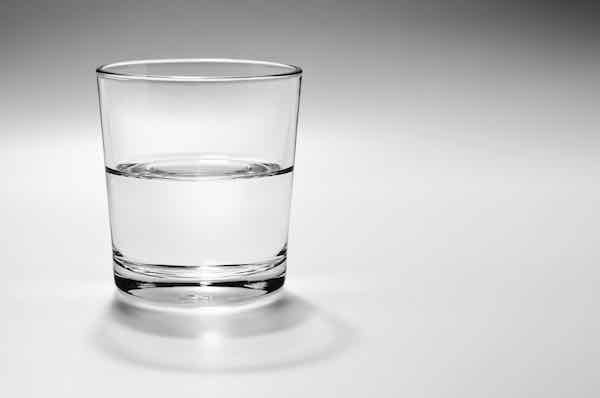 We absolutely can control whether we harbor a ‘glass half empty’ or ‘glass half full’ outlook though and we absolutely can control the ways in which we adapt our retirement plans moving forward! It is a choice to focus on the perks being reduced or to wallow in the unfairness, but we all know that those choices will leave us exhausted and no closer to financial freedom! So choose to focus on the wealth of federal retirement perks still completely unaffected by these budget discussions and recognize the huge advantages both CSRS and FERS retirees still have over those looking to retire just about anywhere else in the world. Choose to redirect the energy you would have lost nursing that unhealthy bitterness towards a renewed motivation to take control of your retirement by learning how to survive thrive under these new conditions. Be proactive in how you apply your energy, educate and empower yourself with strategies and exercises that will get your dream retirement back on track! So, if you are concerned about the 2018 budget’s impact on your personal retirement plan and want to take positive action, find a Federally Focused Retirement Planner to help illuminate how these proposed changes would impact your retirement benefits and work together to identify which actions will realign you with your retirement goals!